you might find newer posts on our facebook-site. Meet us here! Here's a lovely video from the night of our 10th anniversary gig! On November 25th 2017 we'll have our 10th anniversary gig at Weingut Wehweck in Schriesheim with some special guests! Our new promo video for "Messed up life" is online! We are happy to announce that we've started working on the next album! Sad news. Heidelbergs #1 record store Crazy Diamond will close on Sat. 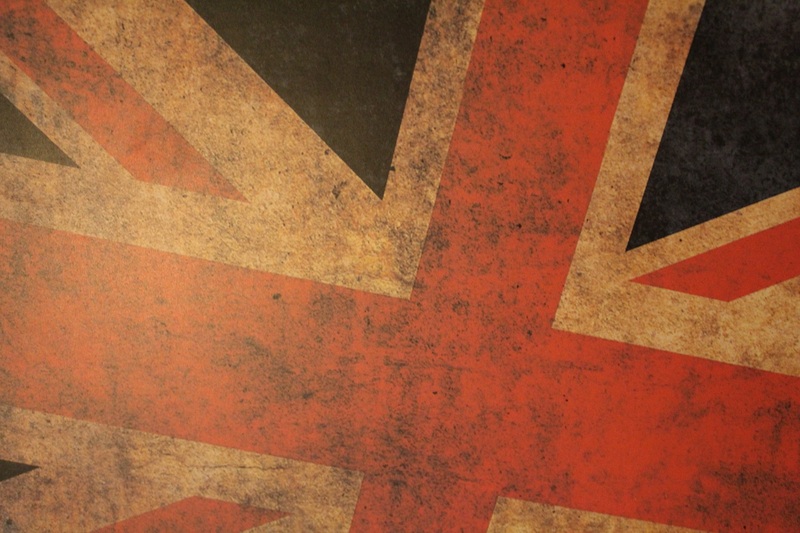 29th of July. We'll do an in-store unplugged gig around high noon time on that day to celebrate this day. On June 29th we'll play Kulturbrücken Jungbusch in Mannheim! Support is Cinemagraph! Today "Set The Record Straight" will be released and we'll present the record at Cafe Art in Walldorf! Even more good news: We'll be celebrating the release of "Set The Record Straight" on May 5th with a gig at Cafe Art in Walldorf at after-work-time 18.00! Good luck, world. And cheers to the band who wrote this song. Finally a new public gig! We'll be on stage at 7 PM at Badisch Brauhaus in Karlsruhe on Feburary. We had a terrific night yesterday at SAP X-Mas-Party in Rot. We did some filming and hope to produce some nice live videos. And here it is: The first track off the new album "The Tiger Is Angry". 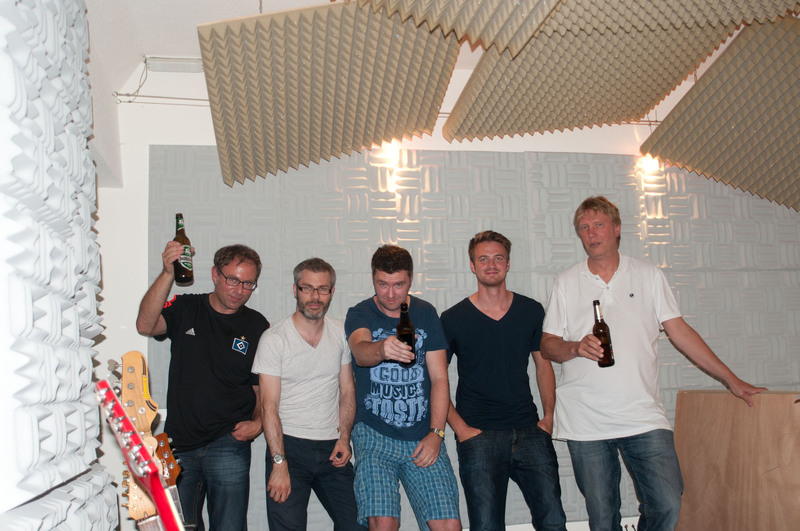 Last recordings for our upcoming double album "The Peejays Set The Record Straight" have been completed. Stay tuned for more information and our next video! Our new promo video for Nearly Almost Famous is online! Get it on 7"-vinyl, as a download or on our PEEJAYS-USB-memory-stick! You can get the EP in these shops from Record Store Day on! See you around! Our EP is finished and will be released on RECORD STORE DAY, April 16th 2016! We are pleased to announce the release of our new EP "Nearly Almost Famous" coming out in May on 7" vinyl and as digital download on Villa Bäh Records! 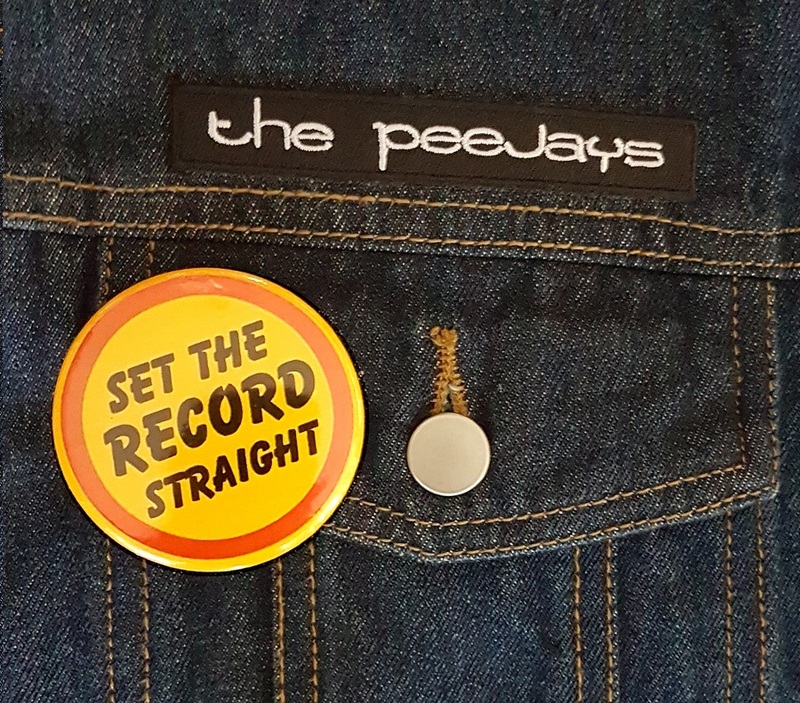 And if that isn't enough The Peejays are currently working on an album that will feature all the Peejays-classics and will be called "Set The Record Straight". The album will be out in summer on CD and digital download on Villa Bäh Records! 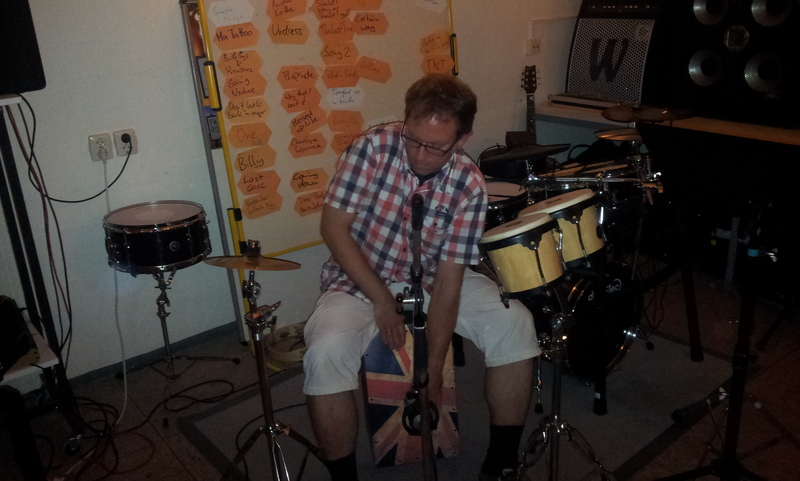 While our drummer Matze is off to Tenerife for the winter, we play as a four-piece with Jan on cajon again. Here you can see our version of "The Circle" by Ocean Colour Scene! Dear friends of The Peejays! It's been a fantastic year (bandwise that is - not talking of the wars in the world). We started off on our unplugged project due to Matze's absence at the beginning of the year and we wrote so many songs in that period that it is in fact an album of its own, which we might bring out somehow soon. We had some great gigs, one is completely on film (we might also release this or parts of it). We supported our friends The Vals on their Germany Tour, which was great too. Then we were a five piece band again and Paul wrote some great SAP-related parodies of well known classics that got us some gigs at SAP. And finally we were invited to play the SAP X-Mas-Party in Rot, which was a great gig to end the year. And we have finally got some new studio recordings finished and are proud to announce the "Nearly Almost Famous"-EP that will be released on 7" vinyl al well as a digital EP in 2016! We wish you a Merry Christmas and a Happy New Year and leave you with a song we played for the first time at the SAP X-Mas-Party. Sadly Ben was not captured in the main angle, but we found ways of getting him into the video thanks to some footage from the side of the stage. Enjoy! SAP-week 3: At last with full line-up again! It's been three fantastic gigs, each one different, each one cool! Wow! Once things get started... We'll be playing on October 2nd and 6th at - guess where - SAP in Rot! SAP seems to really dig us - we'll be in Walldorf on September 24th, but unplugged again as Matze and Peter will be abroad. To play unplugged was fun, but we really enjoyed playing with full line-up again! We are happy to announce were are playing SAP Parners Forum in Rot again on June 23rd! Here's our rehearsal room video for "Nearly almost famous" - find more of these on our Videos page! And even more from our rehearsal room! Another one from our rehearsal room! Greetings from our rehearsal room! SAP TV has published a nice interview with Paul and some footage from our Marstallcafe-gig! We had a great night in Bensheim with our friends The Vals from Belfast - a top band and lovely geezers! Our gig in Heidelberg was fantastic - Marstallcafé is a great location and we had three cameras filming us. We are happy to announce an unplugged gig at Heidelberg Marstallhofcafe on January 29th! Our first unplugged-gig in Domgartencafe/Speyer was a huge success, thanks to all who attended! Our drummer Matze got a scholarship on a very short notice and will go to Tenerife for the following turn. 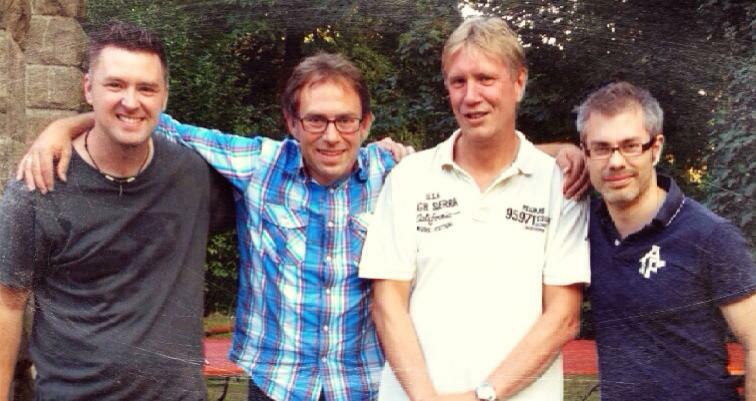 During that The Peejays will play as a four-piece with Jan switching from guitar to cajon/percussion. We'll be playing SAP-Partners Forum in Rot on May 21st 2014! On May 23rd 2014 you'll be able to see us live in Speyer's Irish Pub (Outside)! 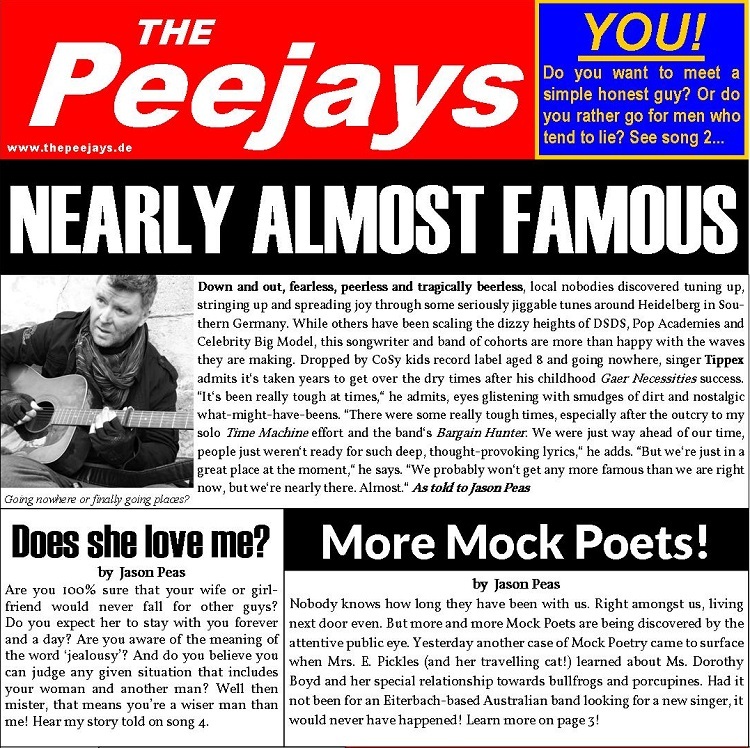 The Peejays are happy to announce that their former singer Paul Townsend is with the band again! We wish Cornelius Bender good luck for his solo activities and remain grateful for his involvement over the last years.